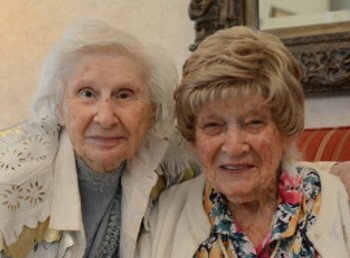 At The Peninsula, an assisted living and memory support community in Hollywood, one of the many benefits of our lifestyle is friendship. Many residents enjoy the camaraderie of friends and being with people throughout the day. Whenever someone visits The Peninsula, they will find residents enjoying the company of others. As a staff member who has day-to-day contact with residents, it is our goal to engage our residents and help a new resident transition to The Peninsula. Socialization is what may be missing from their life; the opportunity to be with their contemporaries and interact with others like themselves. Even when someone is less active, they still enjoy chatting with people. There are many positive benefits to socialization and at The Peninsula we strive to encourage residents to participate in activities and attend the events. Our recreational program offers a variety of activities that take place every day. A new resident is always encouraged to join a group. We’ll keep an eye out to make sure they are introduced and meet people. In our dining room that serves three meals a day, we try to seat residents together where they may have something in common with their tablemates. Research shows there are many health benefits of friendship and senior communities can maximize the opportunities to make new friends. Our residents have long been retired and they are losing their friends and spouses to death and illness. Family members may not live in the area and their daily social contacts and stimulation are reduced. For someone younger, it may be easier to join a group and get out, but often seniors lack the inner motivation to head to a senior center or go somewhere on their own. Living in a community like The Peninsula offers daily social contact and stimulation. There always is something to get out of bed to go and do! We often hear a son or daughter comment how mom used to enjoy going to shows and movies and now by living at The Peninsula, she is doing these things again. To learn more about The Peninsula and how it may be of benefit, please call 954-893-7755 and come and see us for a tour.